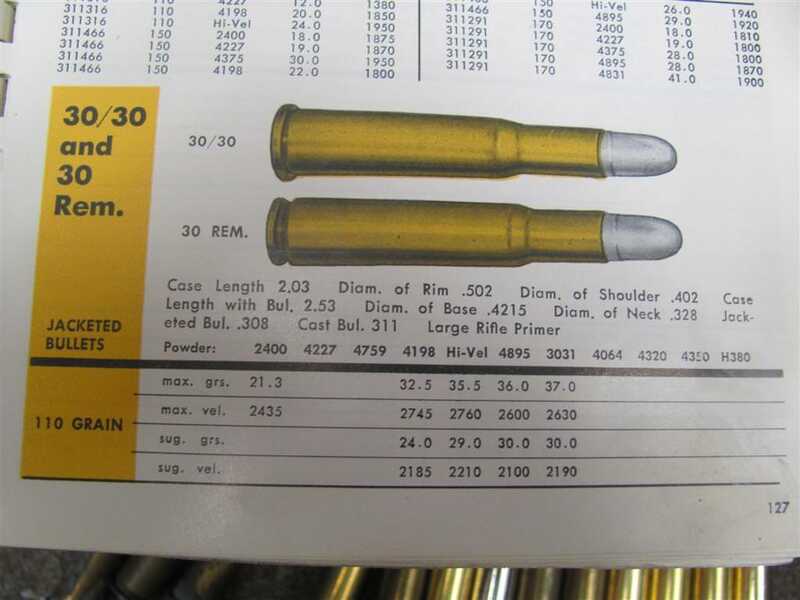 30 rem or 32 rem loading info? Thread: 30 rem or 32 rem loading info? 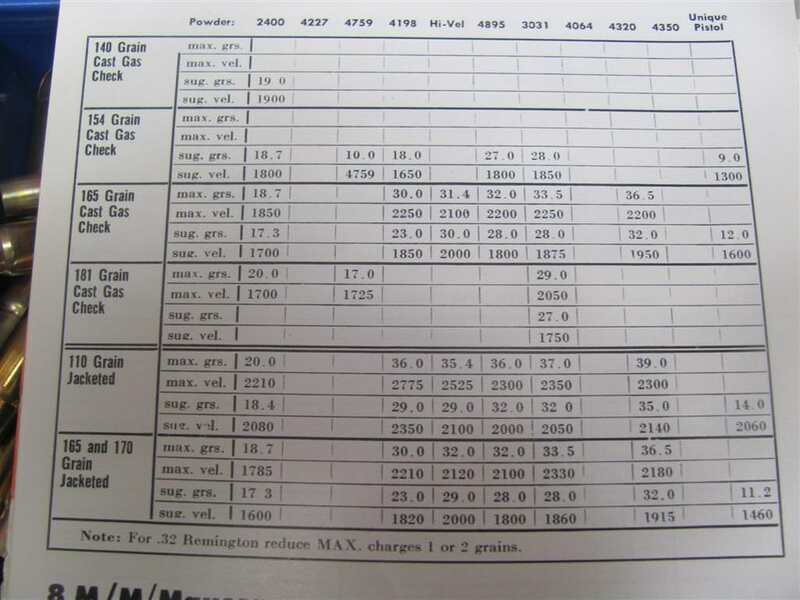 Looking for reloading data for the 30 rem and 32 rem model 14 pump,would like to buy a book with older guns like the 25 rem too.Were can I find this? 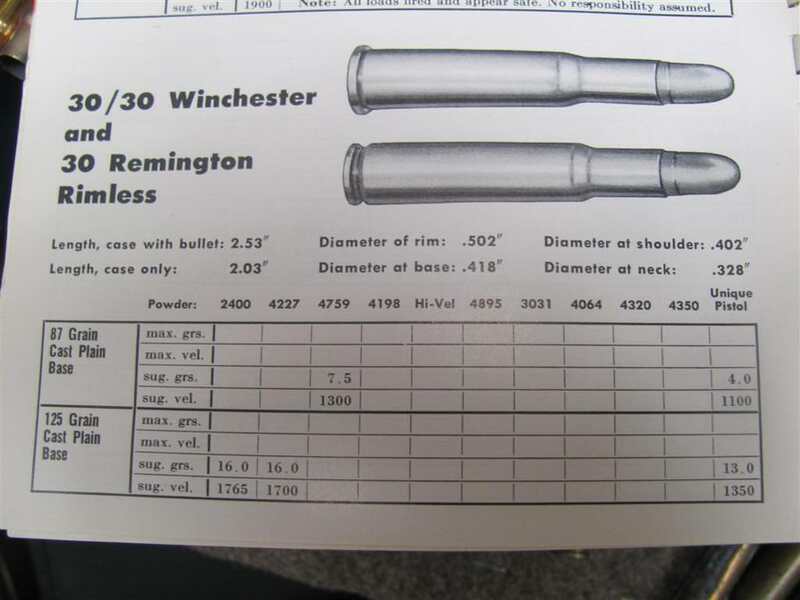 It's going to be hard to find loading data specifically for the Remington series of rimless cartridges, but since the 30 Rem has exactly the same case capacity as 30/30 and 32 Rem has exactly the same case capacity as the 32 Special, and the operating pressures are essentially equal, you just use loading data for those cartridges. 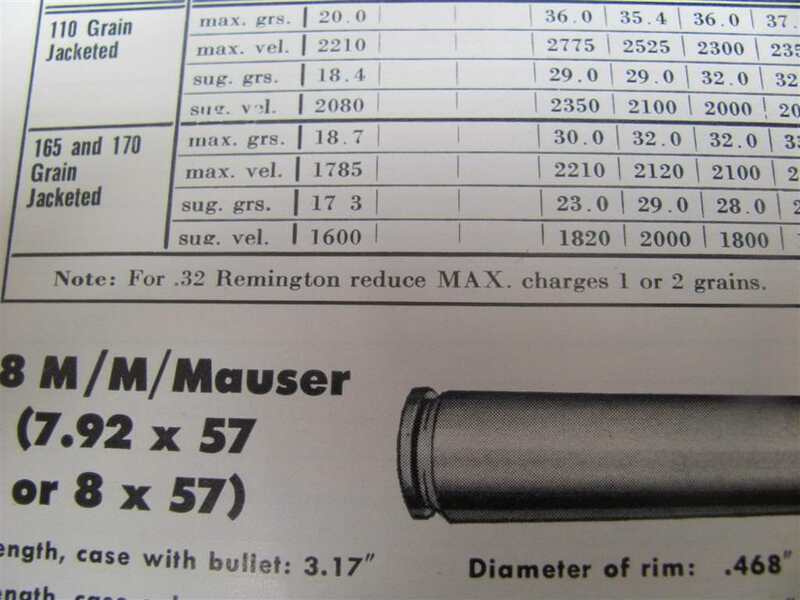 The 25 Rem has more case capacity than a standard 25/35, so any loads listed for 25/35 will be totally fine in the 25 Remington, though will give a little less velocity (and pressure) than the same load in the 25/35. 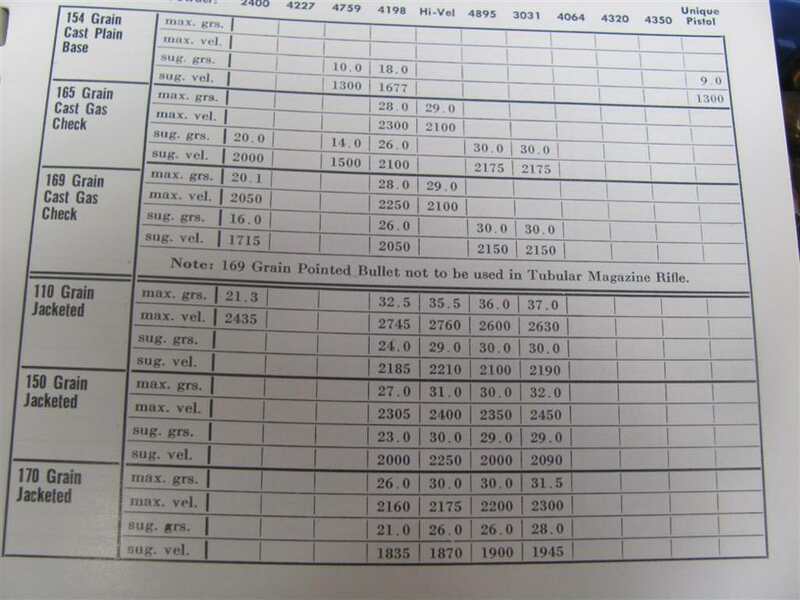 Many older loading manuals list both the Winchester and corresponding Remington rounds with the same data. Were there any books that ever listed those cal. in them? If I knew of a book I could search the web for used books,many places to find any book out there. Lyman number 45 and Speer number 8 both have load data. Lyman has cast loads, too. 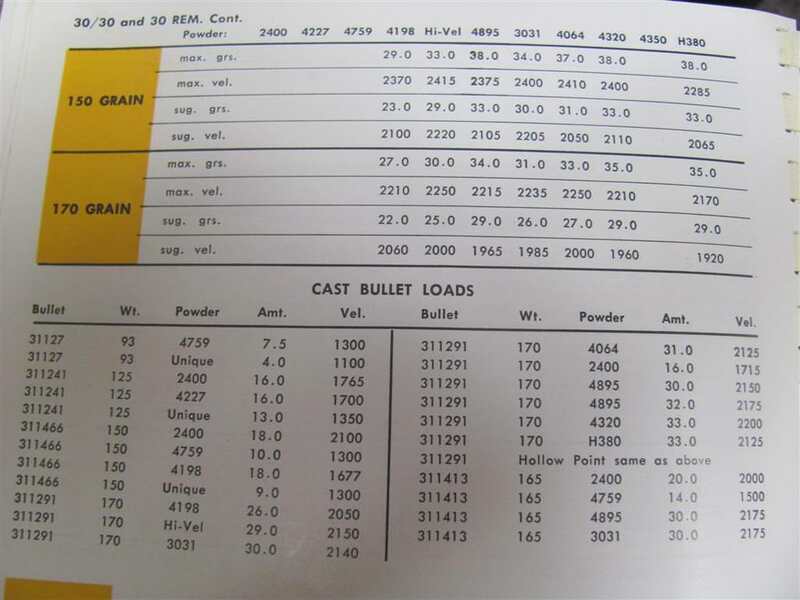 I checked my Lyman 49th Edition and my Lyman 4th Edition Cast Bullet Manual, not listed. I remembered looking at them, found a download. Excellent info posted here, thanks to everyone for sharing. I recently found some 30 Remington cases with my metal detector. I looked them up online and was surprised to learn how old they might be...1906. 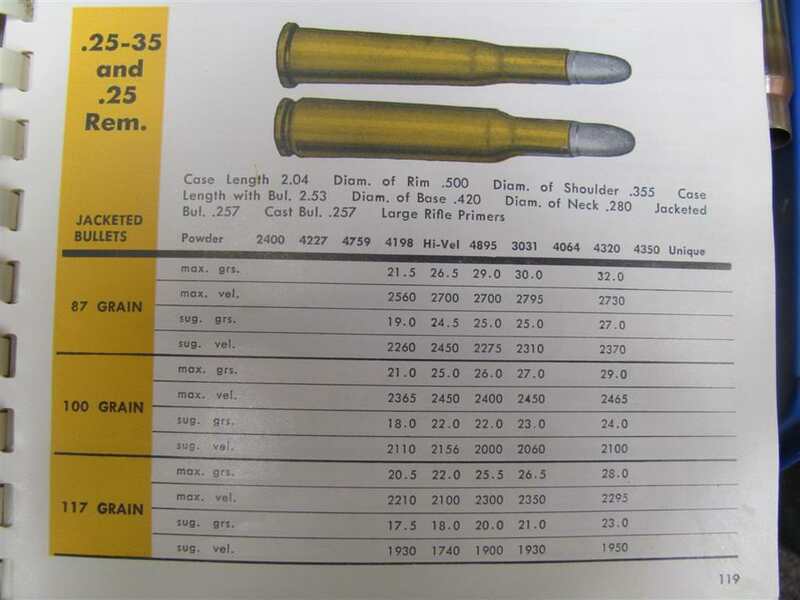 GONRA sez to remember those "equivalent pairs of cartridges"
are dealing with relatively low pressure LYMAN CAST BULLET loads. Do NOT take these as "gospel" for all the loads in these "pairs of caibers." 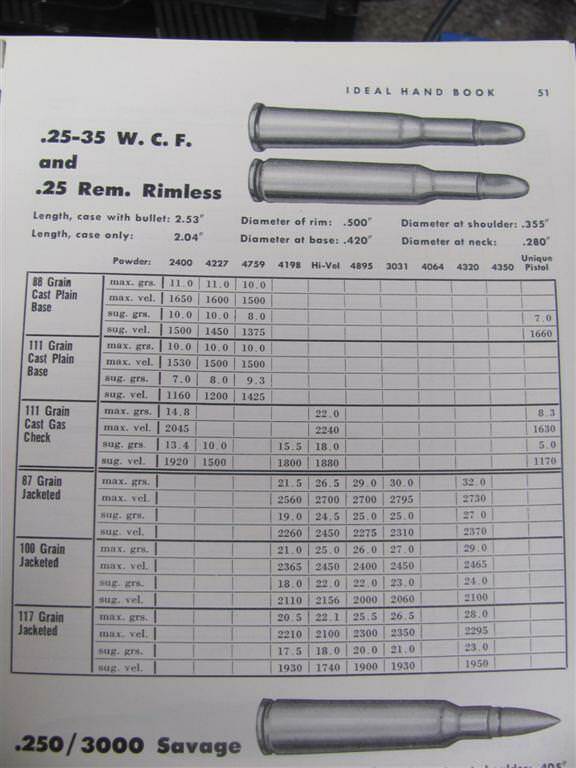 There are jacketed bullet and cast bullet data for both the .30 Rem and and .32 Rem rounds in the Lyman 44 manual. 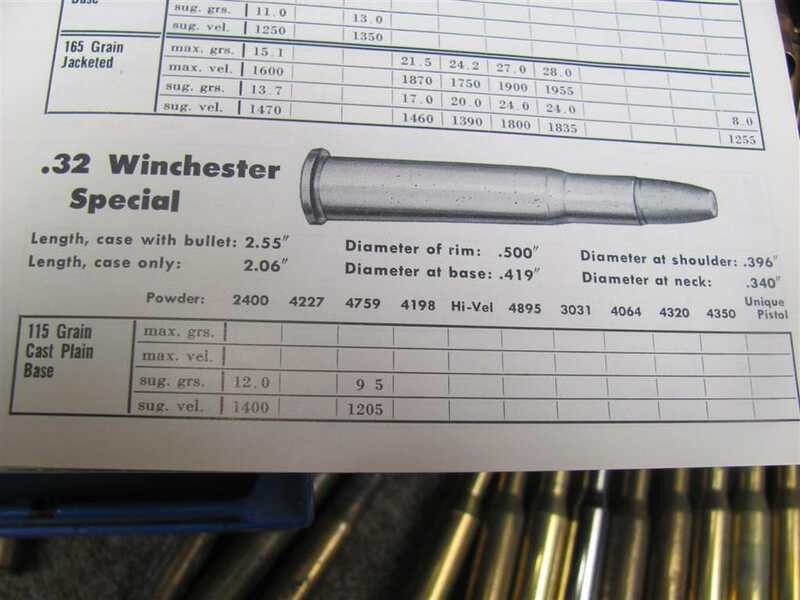 data from the Winchester rounds. looks like correct head-stamp also. $1 each, not to terrible.